Microsoft has announced cross-network play for games. Now other platforms have to accept the invitation. With GDC 2016 beginning today, Microsoft has announced cross-network play for Xbox One and Windows 10 games. That means players on Xbox Live may be able to play games with users on Steam, Origin, or PlayStation Network. The trick is that developers need to decide to support the feature. "In addition to natively supporting cross-platform play between Xbox One and Windows 10 games that use Xbox Live, we're enabling developers to support cross-network play as well," wrote ID@Xbox director Chris Charla. "This means players on Xbox One and Windows 10 using Xbox Live will be able to play with players on different online multiplayer networks – including other console and PC networks." "Of course, it's up to game developers to support this feature, and Xbox Live players will always have the option of choosing to play only with other Xbox Live players. 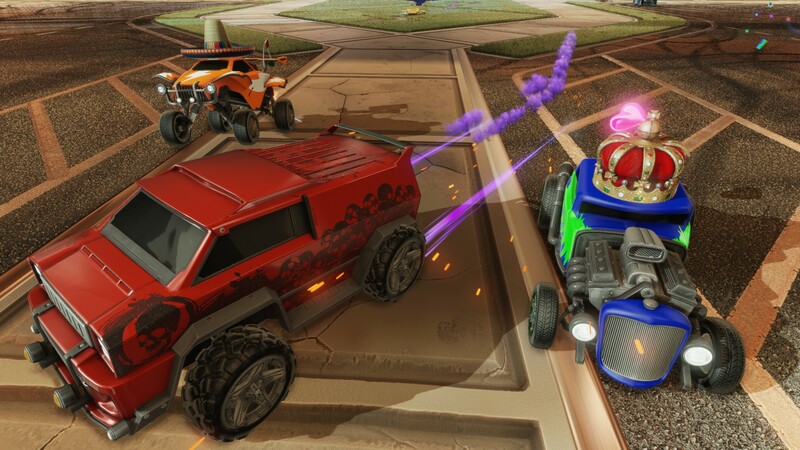 We're thrilled to confirm that Psyonix's Rocket League will be one of the first games to take advantage of this new capability by enabling cross-network play between Xbox One and PC players, with an open invitation for other networks to participate as well." The announcement was related to ID@Xbox, but Charla later confirmed on Twitter that cross-network play is available to any title. It's likely that Microsoft will see indie developers on Steam open their games up to cross-network play before you see Sony and Microsoft join hands. Microsoft itself owns a game that can theoretically bridge the gap: Minecraft. The Mojang title is available on every platform under the sun, but currently you can only play with users on the same platform as you. If Microsoft could open Minecraft so that players could participate freely on any platform, it would be something truly revolutionary. As it stands, Rocket League allowing players on PC and Xbox One to play together is a solid start. Assuming the service works as intended, this would leave the PlayStation 4 as the odd man out in competitive play. Of course, that may not be an issue, given that the PlayStation 4 is the official tournament platform of the Rocket League Championship Series run by Twitch, meaning the fervent Rocket League players will stick to PS4. Tagged with Microsoft,	News,	Psyonix,	Windows 10,	Xbox One.